Tillich's work, The Courage to Be, published in 1952 was read widely, including by people who would not normally read religious books. A lot of college students in the 50’s and 60’s had a copy of this book on their shelves along with books like Walden by Henry David Thoreau, The Hobbit by J. R. R. Tolkien, Siddhartha by Herman Hesse, The Book: On the Taboo Against Knowing Who You Are by Alan Watts, and The Electric Kool-Aid Acid Test by Tom Wolfe. The 60’s was a time of turbulent change, a time of putting aside old ways of looking at the world and opening up to new, often radical ideas about existence, philosophy, psychology, and theology. 50 years ago, The Courage to Be not only appealed to liberal Christians, it appealed to a broad spectrum of spiritual seekers who were trying to find some grounding in a time of unprecedented anxiety. Does the text have any relevance for Unitarian Univesalists now in the 21st Century? As we lit our chalice today, I asked us to reflect on our first and fourth principles. We affirm and promote the inherent worth and dignity of every person and we affirm and promote a free and responsible search for truth and meaning. Tillich’s ideas, at their foundation, call us to affirm and promote the inherent worth and dignity of every person, and most importantly to affirm our own worth and dignity. As part of this self-affirmation process, we as rational beings search for new perspectives, willing to examine truths that may differ from the one we came in with, willing to consider different meanings that might help us manage the anxieties we experience as we live and move through life. Let these two principles float in the front of your mind as you consider Tillich’s perspective on how we might live our lives in relative security despite the many things we cannot control around and within us, in spite of doubts we may carry in our hearts, in the face of the things that may cause us anxiety. In his book, Tillich examines on how we can effectively manage the anxieties we face. He explored the concepts of courage, being, acceptance and affirmation as a means of coping with life’s anxieties. He considered some anxieties to be universal to the human condition. Not surprisingly, the first anxieties he addressed were around the idea of being in control and the simple fact that one day we will die. He called these the anxieties fate and nonbeing. 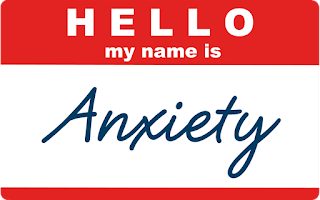 His position that in one way or another, we do think about these anxieties as we are all impacted by these two anxieties. They impact our decision-making and are part of our consideration when we think about the outcomes of our decisions—in short: will a decision that we make lead more quickly to our nonbeing/death. I worry about things like how I will survive financially until I die; will I die a painful death or a quick death; I worry about the nature of my death—will it be quick and relatively painless, or a long, drawn-out agonizingly painful death? My dad had Parkinson’s—is that my future? Will I have the time and ability to complete my “bucket list”? I try to live my life so that I can leave a legacy of kindness after I die, so that the difference I’ve tried to make in the world will live on beyond me. But will it? After I die, will any impact I’ve had simply die with me? I ponder both the concrete and existential questions about fate, being, and non-being. I would guess that in this room full of self-aware seekers of knowledge, I am not the only person who considers these kinds of questions. I would guess I’m not the only person who might experience at least some occasional mild anxiety about having not control over the answers. According to Tillich, the second form of universal anxiety is guilt and condemnation. To a varying degree we are all moral and ethical beings. 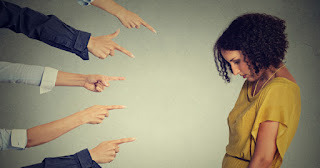 Every day we make decisions informed by our morals and ethics, and many times we all make decisions that are unsatisfactory, that are not consistent with our morals and ethics, thus damaging our self-esteem and/or hurting someone; decisions we wish we hadn’t made. This can result in despair causing us to feel guilty or condemn ourselves for our bad decision. I am forever reflecting on morals and ethics. It is part of the job of being a minister. For each decision I make, I gather the best information I can and consider my past experiences, then take an informed leap of faith, and make a decision. I know I will never have all the data I need and that my past experiences are not always the best indicator of the best decision. But I do my best and hope I don’t hurt myself or others in the decisions I make. I’ve made countless decisions here at this church, many with very positive results. Recently I decided that the church could host and then co-host a LGBTQ panel discussion for the Naperville community. I didn’t think anything about it because this church and other UU churches have done this for years. This was a decision primarily based on my past experience. But what I didn’t consider was the climate in which we live; a climate in which a person or people could attend a gathering here at this church in order to be violent or abusive to people whom they feel don’t represent their values or beliefs. I made the decision to okay the panel discussion based on past experience, yes, but I didn’t fully examine the situation. I went with my gut, even though there were people who yelled at members of this church when we marched in the Aurora Pride Parade screaming that we were going to hell. Even though last year, people protested abortion rights with graphic signs in front of our church last year during an Activist Expo here in our building. Even though every day I see on the news or on YouTube another example of an innocent person being verbally abused with racial slurs and almost weekly someone is beat up or shot for being black, brown, Muslim, Sikh, gay, lesbian, bisexual, transgender or gender queer. If an angry or violent person crashed an event at this church things could get very tense and very ugly very quickly. I felt guilty for making a quick decision that could have had disastrous results. I don’t tell you this to say we’re going to stop hosting events that support the LGBTQ community or advocate for abortion rights or immigrant rights or any of a number of rights that are under assault. Hosting these events is the right thing to do; they’re how we live our Unitarian Universalist Principles and values. But I need to be and we need to be more aware of how to prepare for these events and the potential negatives of events like this. Now let’s get back to Tillich. The final form of universal anxiety is emptiness and meaninglessness. Most of us yearn for a sense that our lives mean something and that we have some purpose or focus in our lives. Most of us want some worthy goal that we are working toward in our lives, and when we don’t have a meaningful goal, we can feel empty or feel a sense of meaninglessness. Despair/depression/anxiety can be the result. We might find ourselves in an endless loop of needing to make a decision but not being able to make a decision but needing to, ad infinitum. Right now I feel deeply unsure how to proceed as your minister and as a social activist. As your minister I am struggling with how I can be authentic with you and meet the spiritual needs of this spiritually diverse community, as well as considering what direction my ministry will take over the next year and really for many years to come. As a social activist, I am struggling with so many things being broken by the Washington administration, so many people harmed, and our planet being harmed, and now a Supreme Court that will likely overturn Roe vs Wade or at the very least seriously weaken the ruling, taking away the right to safe abortions. I am overwhelmed. 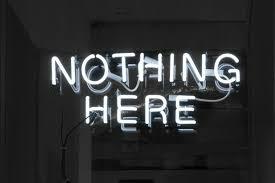 I am feeling empty/exhausted and flirting with meaninglessness, wondering about my purpose. I have found myself at times having less energy and motivation to write, to preach, to come to church, to speak at rallies, to fill out witness slips. I have toughed it out and done these things, but I have to say there are times I would rather stay home in my basement and watch some mindless television. I will tell you I will not give up on my church ministry or my activism, even with these feelings dragging on me. My call is still strong, it is the external stressors that cause me doubt and I know that. 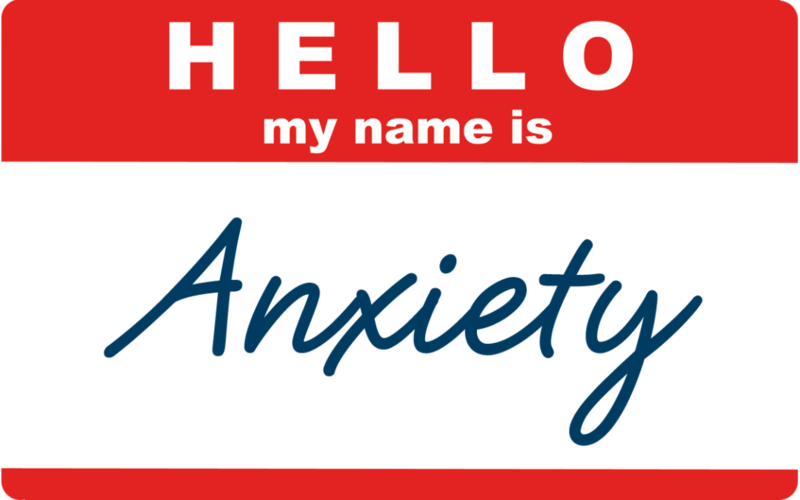 Tillich says these types of anxieties are normal and natural for all human beings. That all of us struggle with anxiety about non-being, fate, guilt, condemnation, emptiness, and meaninglessness. He offers some insights on effective ways to deal with these feelings. For him it boils down to embracing the courage to be, to affirm/accept oneself despite all that is going on within and around you. This self-acceptance can be achieved in a group, and Tillich believes that group work is part of the equation, but more importantly the work must be done within one’s self. As he says it: “The courage to be is the courage to accept oneself, in spite of being unacceptable.” When he says “in spite of being unacceptable”, he is talking both about others treating you as being somehow unacceptable and your own feeling that somehow you are unacceptable. Courage is about embracing self-affirmation and self-acceptance regardless of circumstances, even when we feel we have done something to hurt someone else or when we feel a lack of purpose or meaning or even when we fear our nonbeing/our death. “Grace”, okay that’s a sticky term for some Unitarian Universalists. One meaning for grace is a god granting a person some kindness. However, I offer a different definition and one that is not inconsistent with Tillich, see if it fits for you: grace is an unsolicited lovingkindness or positive regard. Now let’s see how that fits in Tillich’s quote: An unsolicited lovingkindness can strike “us when we are in great pain and restlessness…at that moment a wave of light breaks into our darkness, and it is as though a voice were saying: “You are accepted.” Have you ever felt that from another person or more importantly, have you ever fostered that experience within yourself? Some part of you, when you are in great pain, whispers to your heart, “you are accepted, loved, affirmed, just as you are.” Isn’t that a lovely thought? And isn’t that what we say we do here in this church as Unitarian Universalists? Isn’t that at least part of what we do when we affirm and promote the worth and dignity of each of us. This doesn’t mean we stop striving to do our best to live a worthwhile life, a life in which we try not to harm ourselves or others. A life that will eventually end, but in the meantime still affirms and accepts ourselves as having worth and deserving that which is good. Tillich calls this being rooted in the god who appears when god, the traditional god of religion, has disappeared in the anxiety of doubt. 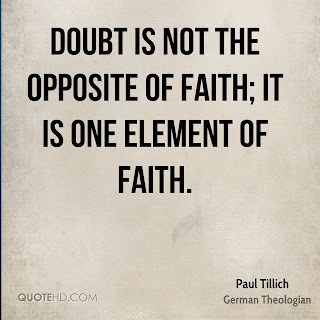 As I reflected on Tillich, I felt that something was missing for me. I see the value in knowing that I can move from pain to health, from feeling worthless to feeling that I have worth and dignity, from feeling meaningless to finding meaning, but in my personal theology I believe there is the potential for something more. Tillich gives me hope that I can get through a difficult situation with my own self-affirmation and with the affirmation of those who care about me. The thing that was missing for me was transformation, becoming something new through enduring the pain I am suffering. Martha, seeing me go through struggles with church and the administration in Washington, DC, recently read me the following quote from Robert Bly’s book Iron John and I remembered the work I did during the mythopoetic men’s movement many years ago. But I believe Bly’s quote relates to any person with a wound. Bly writes: “where a man’s wound is, that is where his genius will be. 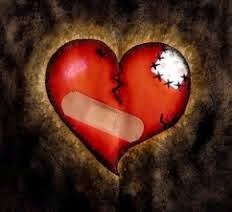 Wherever the wound appears in our psyches, whether from an alcoholic father, shaming mother, shaming father, abusing mother, whether it stems from isolation, disability, or disease, that is precisely the place from which we will give our major gift to the community.” I don’t know if you are familiar with the term wounded healer or wounded or flawed hero. For the healer to heal or the hero to succeed they need the wound or the flaw. The wound is necessary for the transformation to occur. The wound I have is to my ministry, the meaning of it, the future of it, the worth of it. And then last week, my spiritual director told me about a chick. Isn’t that a lovely little chick you see there? Fluffy and yellow and cute. I look at that chick and think new life or feel some hope for the future. 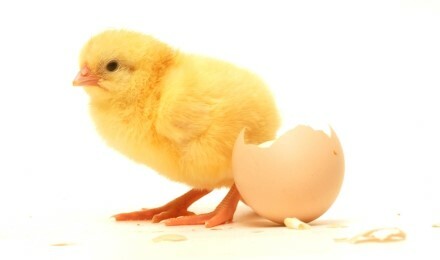 But I don’t think about life from an unhatched chick’s point of view. Put yourself for a moment inside the egg where the chick has been living. Right before the chick breaks out of the egg, it has eaten all of the food that the egg contained, it is starving, unable to move due the restrictions of the size of the egg and the size its body has grown in to, it is afraid, perhaps fearing that it will die in this constrained space. Desperate, it fights to break out of the egg. It is exhausted, starving, and using every last bit of energy it has left, it breaks free. Transformed, ready to face the world, a new life. I feel I am, and perhaps this church community is, and perhaps our country is in the egg. I do not know what life will be like outside the egg, what I will be like, what direction my ministry will take, what impact the new me I will eventually be will have on others, and I cannot know. I am still in the egg. I am struggling with feeling accepted for who I am right now. I am trying to find the courage to be at this moment. But I have hope. Hope that I will break out of this egg. I have done it before. I have navigated change successfully before. When I was a psychotherapist and the call the ministry came, I couldn’t sleep for days, I couldn’t eat, I was in the darkness of the egg. I didn’t know what would happen at the end of the dark time, if I would get out of it, what would happen when I got out of it, who I would be when I emerged. Today, while the anxieties of meaninglessness, purposeless, guilt, condemnation, fate, and nonbeing persist, I know that I will get through them. I listen for affirmations from others who love me. I give myself affirmation within. And I wait. Slowly eating away at the sustenance available to me right now, knowing that there will be a time when I must change, that I must break free of the egg. I know I will be transformed if I choose to continue this journey, I just don’t know who I will be transformed into or what future circumstances will bring me. Today, I am willing to embrace that journey, to find its many gifts and blessings and learnings. Today Tillich’s words give me hope, because I know that by holding onto the god when god disappears in the anxiety of doubt I will make it to…I really don’t know what, but now I am ready for it.